The Los Palmas 6 Tribute Band are probably the best Madness Tribute Band in the World. Initially LP6 consisted of 6 members (which is where their name came from - a twist on the Madness single, 'The Return Of The Los Palmas 7') and in 2006 they grew to the fully authentic 7 piece by adding their very own Chas Smash on vocals and trumpet. They play all the classic hits and some superb B-sides. The Los Palmas 6 are available with a large professional PA and Lighting rig. They've worked hard to recreate the authentic sounds of Madness with an amazingly authentic stage show including backdrops, stage clothes etc. LP6 Sax player Steve Turner played sax with Madness for eight years visit his website here and recorded three albums with them. 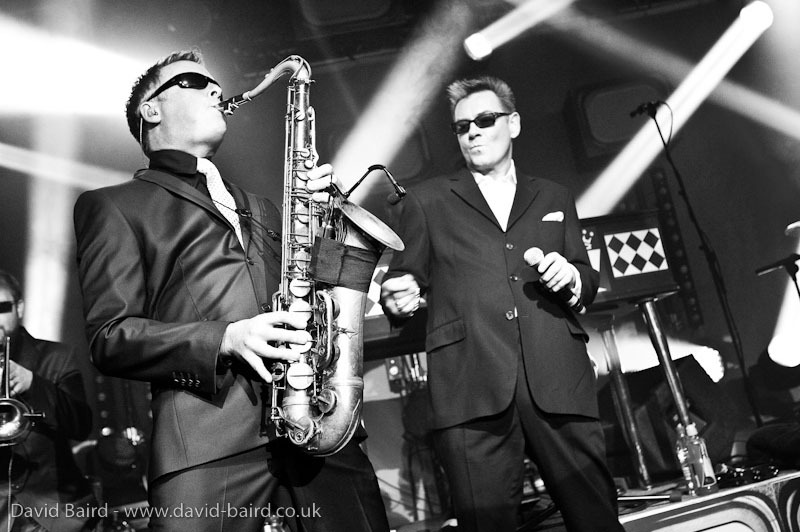 Both Lee Thompson and Woody from Madness have played with Los Palmas 6 making them the most accurate and authentic Madness Tribute Band on the circuit. 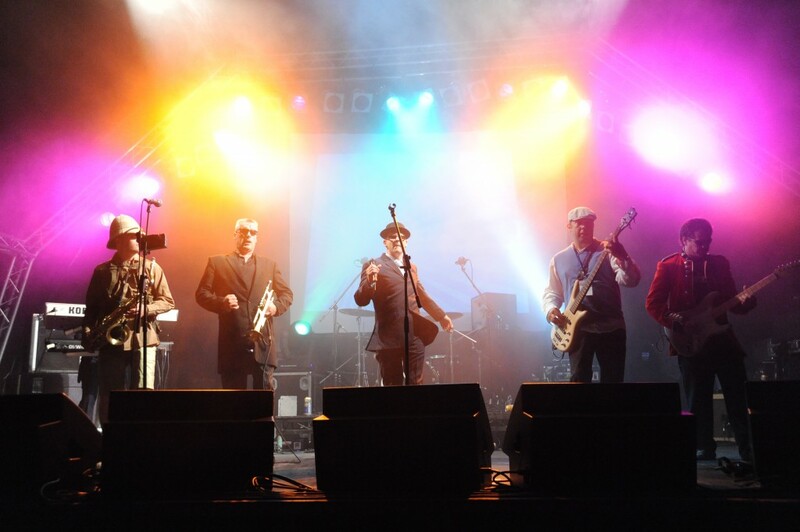 The other musicians in LP6 are also world class musicians with experience in world tours and major festivals and have also played and recorded with other Ska and Punk giants such as Bad Manners, The UK SUBS, Peter and the Test Tube Babies, The Hotknives and Lee Thompson Ska orchestra. LP6 play all the hits from the early days right up to today, including ‘Baggy Trousers, One Step Beyond, Nightboat to Cairo, Lovestruck and It Must Be Love’ etc. They can play for up to an hour and a half, injecting so much energy into their performance that you have no choice but to dance! If you book Los Palmas 6 for your event, you will book an night of fun, nostalgia, dancing and wonderful songs. Recent prestigious clients include The BBC, Virgin Records, Arsenal and Portsmouth Football Clubs, The Aviation Club – Dubai, The British Club - Bahrain, The Army, SAS, Navy and RAF, Cardiff Castle, Alexandra Palace, Splash FM, Reminisce 80's, Cobo Bay festival Guernsey.